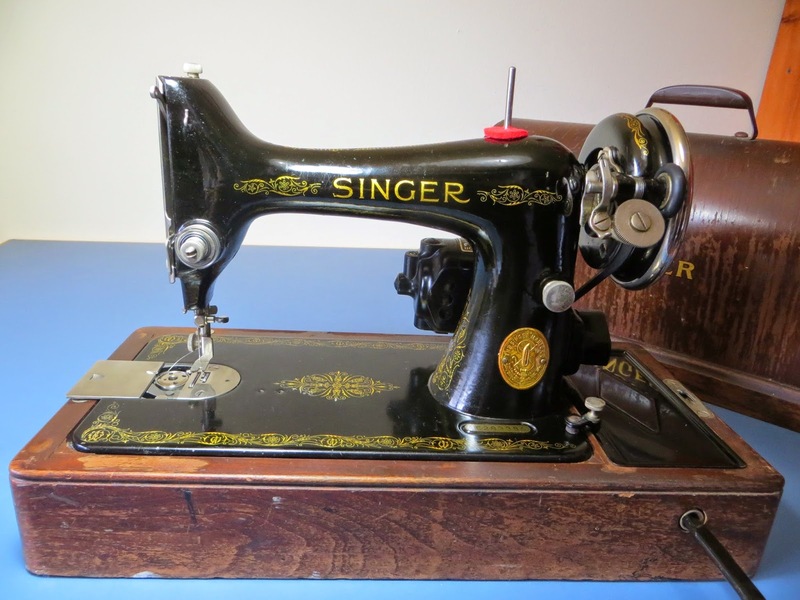 This post will show you step-by-step how I re-wired the light, motor and knee “pedal” on this Singer 99 machine. 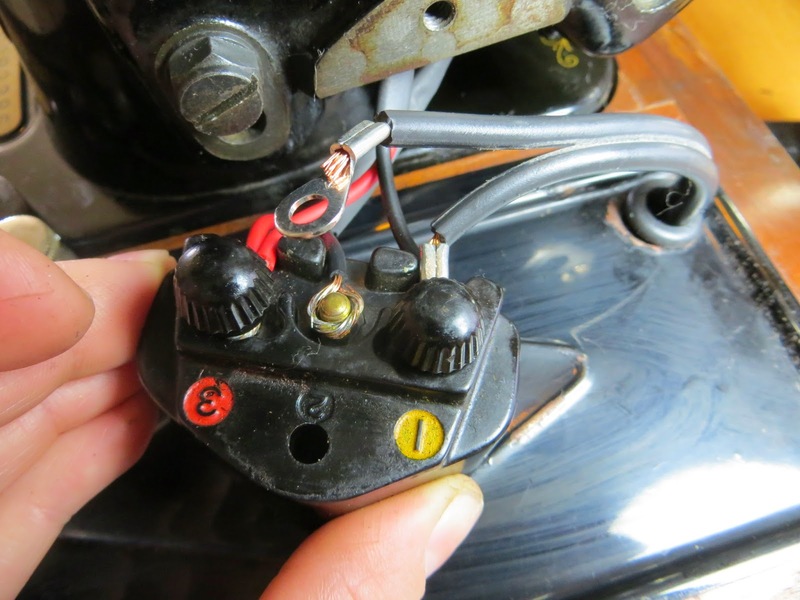 Start by removing the screw that holds the terminal to the machine and unscrew the black terminal caps from the prongs. Take all the wires off. Don’t worry.. I have a diagram that shows how to put everything back on the terminal! 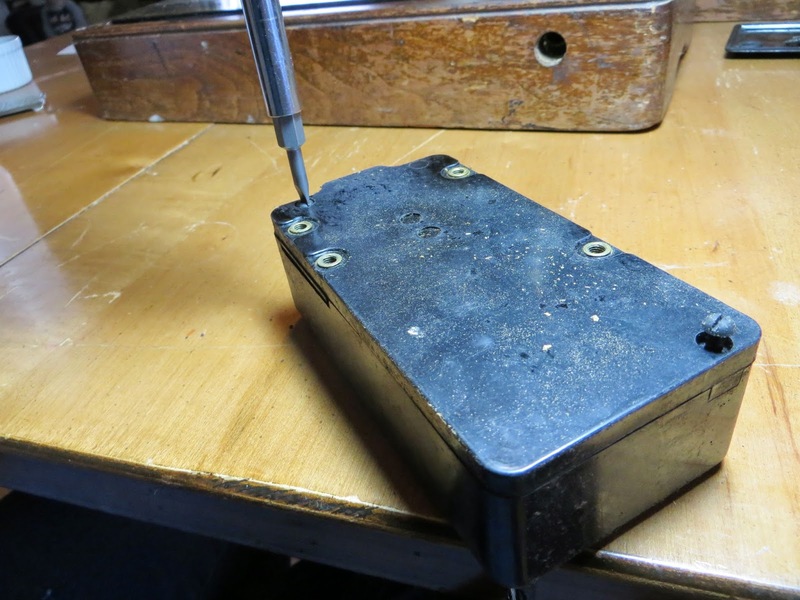 Set the machine on it’s back to unscrew the “pedal” from the underside. 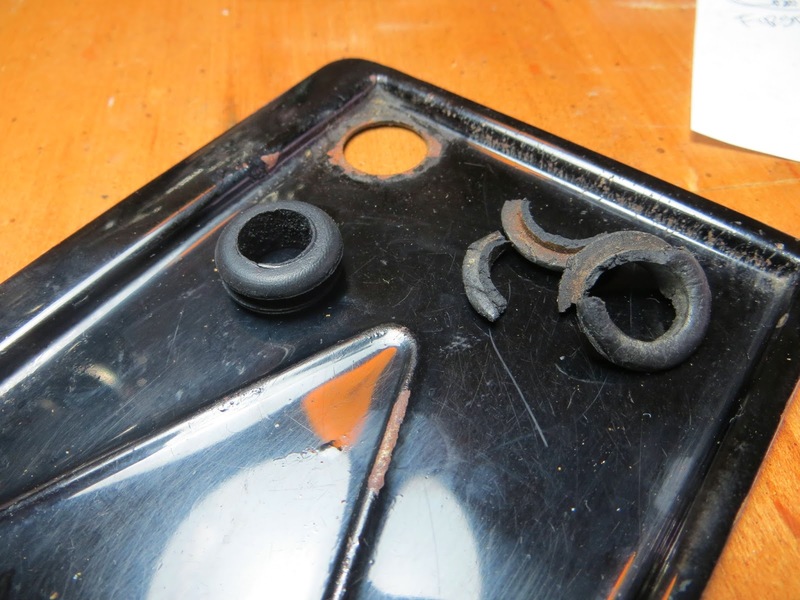 Take out the screws holding the plate against the front side. 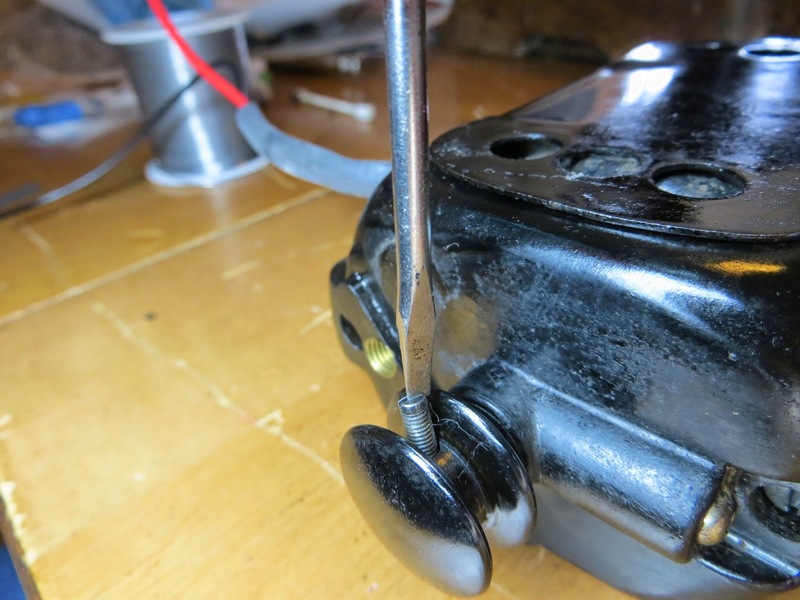 Unscrew the base of the “pedal” to take off the top. 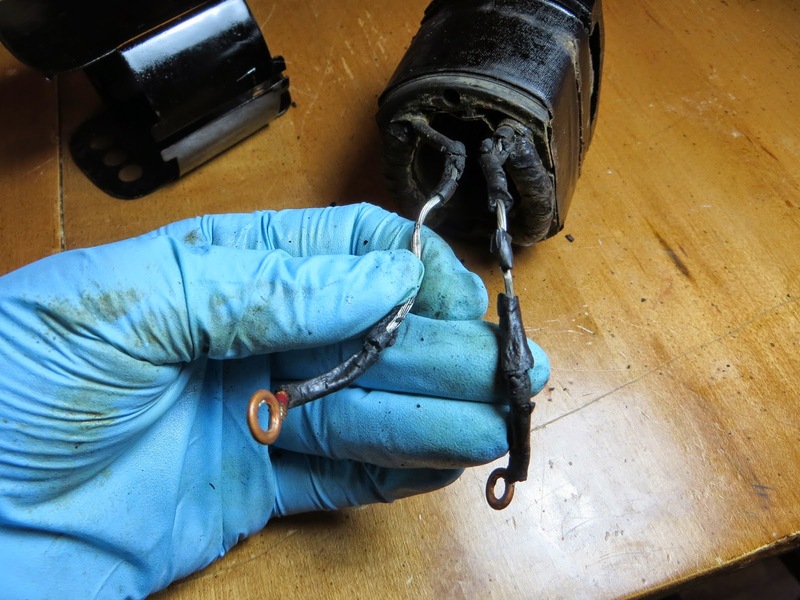 I used a piece of by-the-foot jacketed wire from the hardware store but I would suggest finding something that isn’t so stiff. 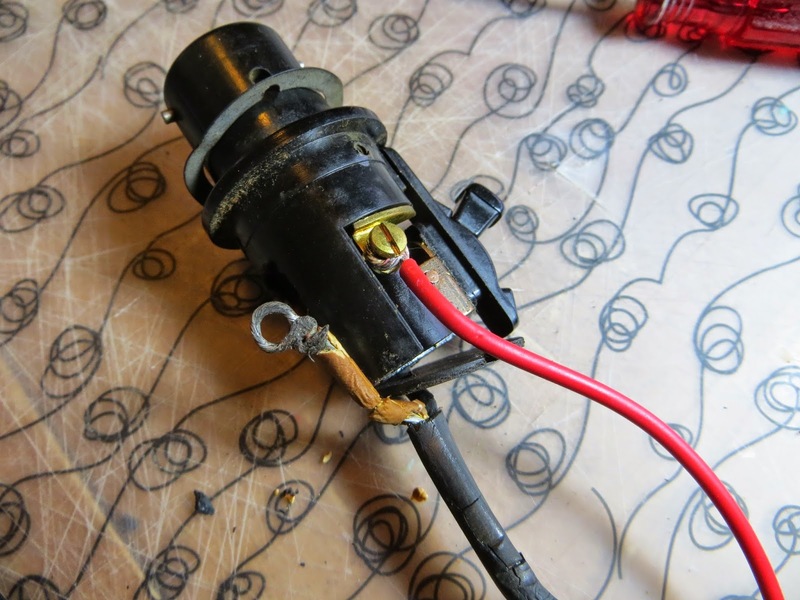 Even your black/red wires used for re-wiring the motor would work and heat-shrink them together before you put the top of the “pedal” back on. Have one side longer than the other. The longer side will be YELLOW and shorter, BLACK. 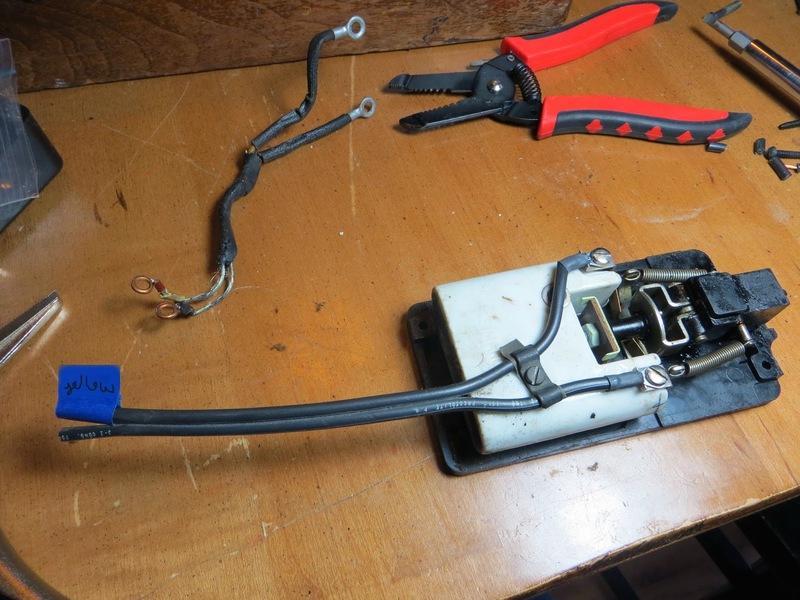 Expose the ends of your wires for your terminals. 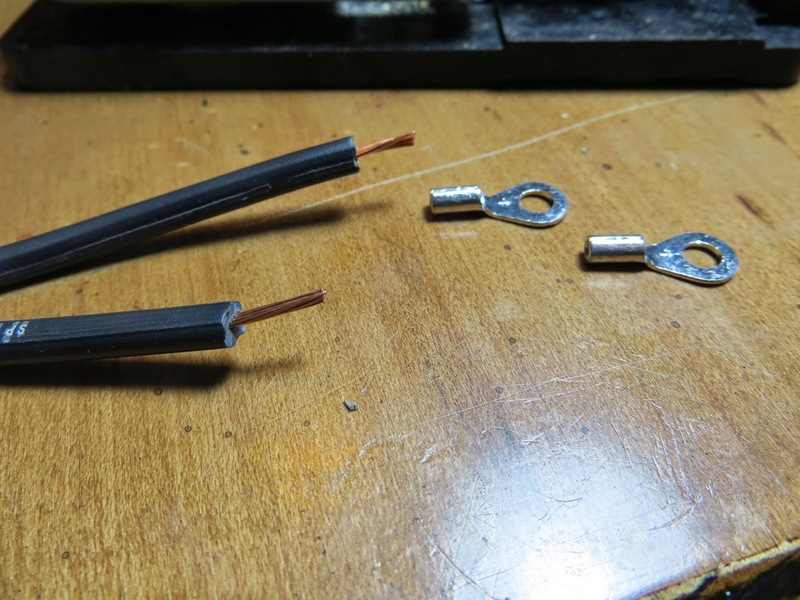 Slide heat-shrink tubing on your wires before you crimp terminals on. 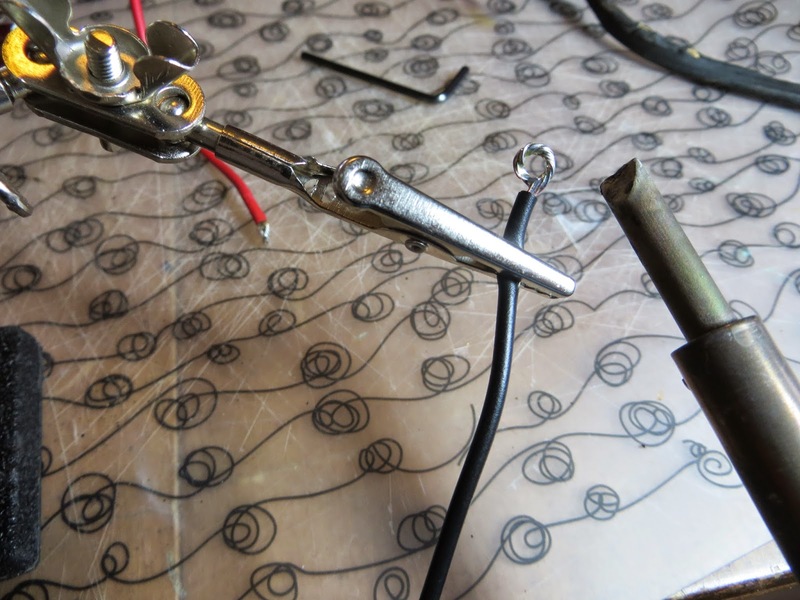 Label/mark your longer wire on the end so you know it goes on the YELLOW terminal prong. Screw wires to “pedal”. 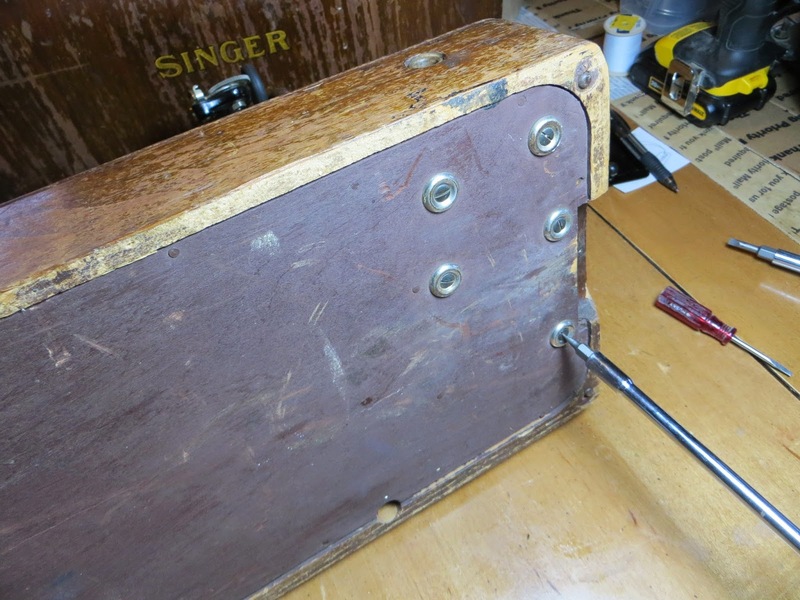 Screw top back onto “pedal”, place in base and replace all screws. 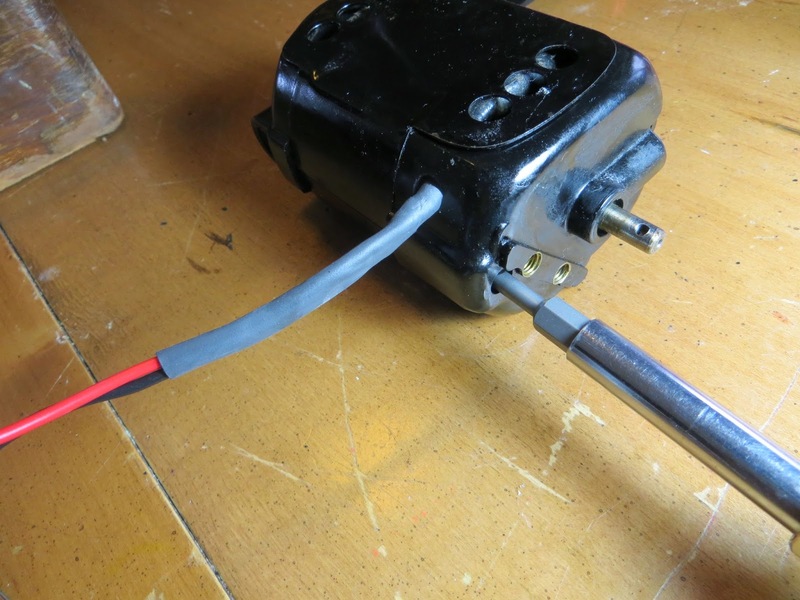 Remove motor from machine and take off motor bracket that attaches to motor. 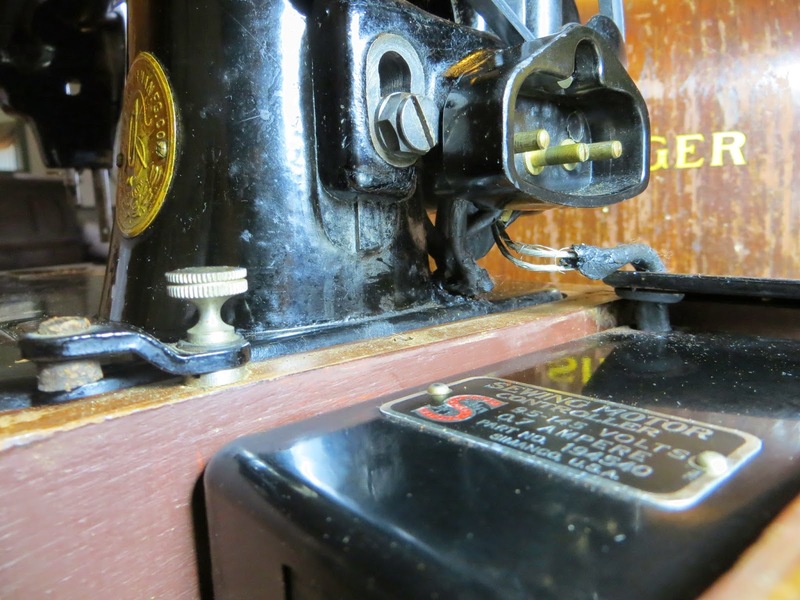 Take out small screw holding belt pulley on shaft. 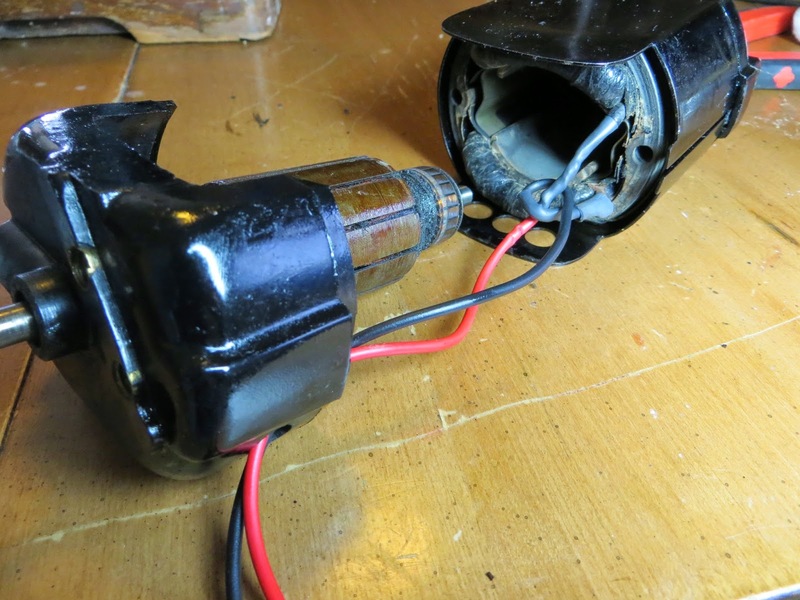 Remove 2 long screw on motor side that holds everything together. Pull everything apart. 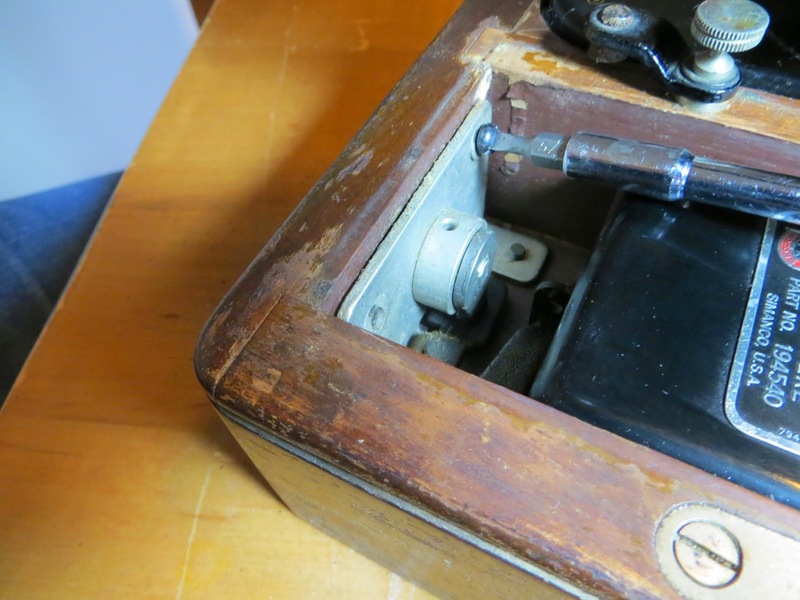 TIP: I had to persuade the center casing to pull off of the ends by soaking some oil around the edges and running a very small-thin screw driver along the edges. 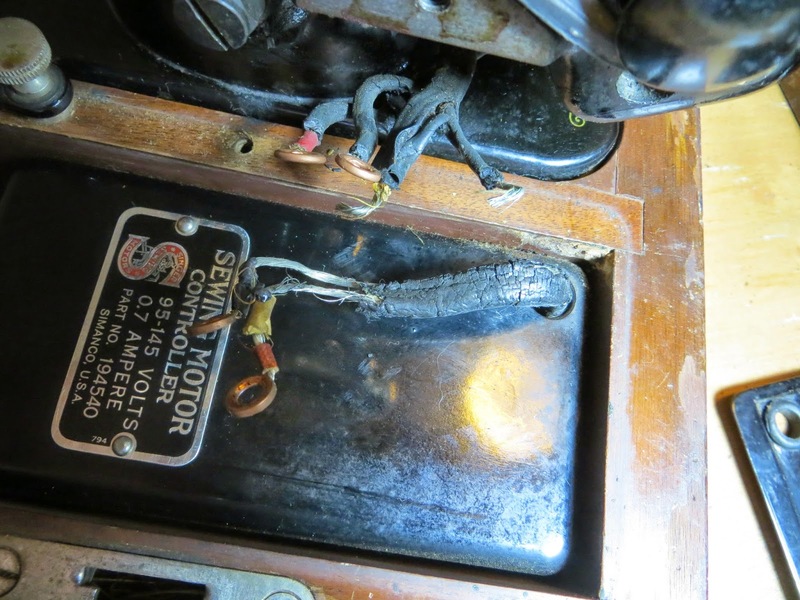 If the motor is propped up with the wires coming from the top, your left wire is RED and the right wire is BLACK. 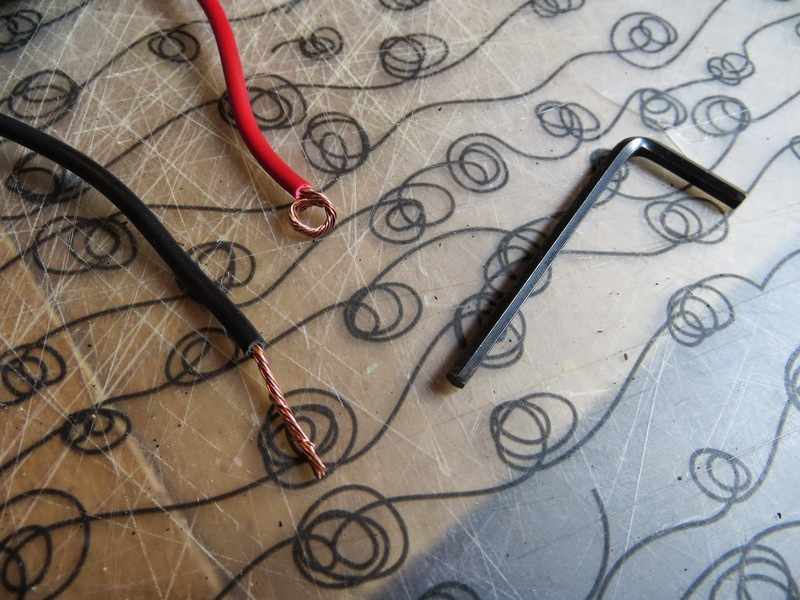 Cut the RED wire so it is 1-1/4″ long and the BLACK wires so it is 1″ long. I propped my motor up with some wood clamps. Stabilize your motor while you work on it. Solder new wires on, RED to RED and BLACK to BLACK. 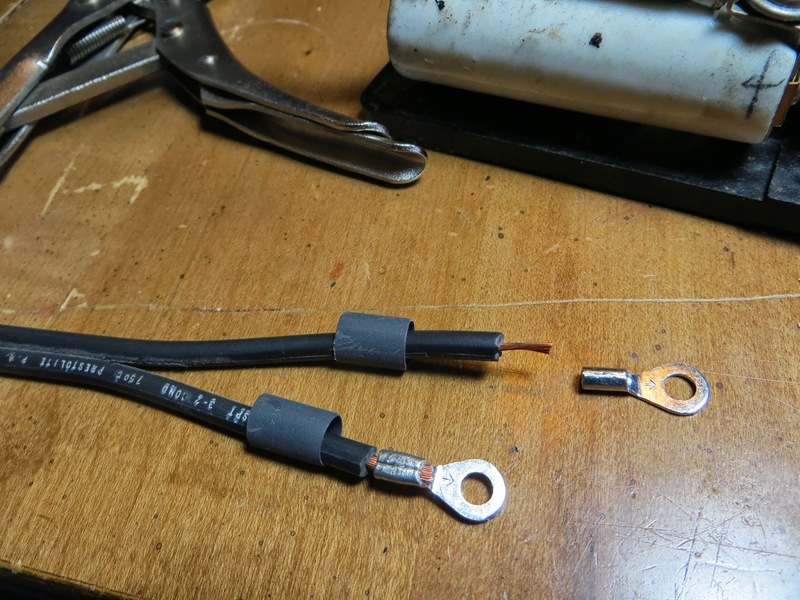 Shrink your tubing over solder joints with a lighter. 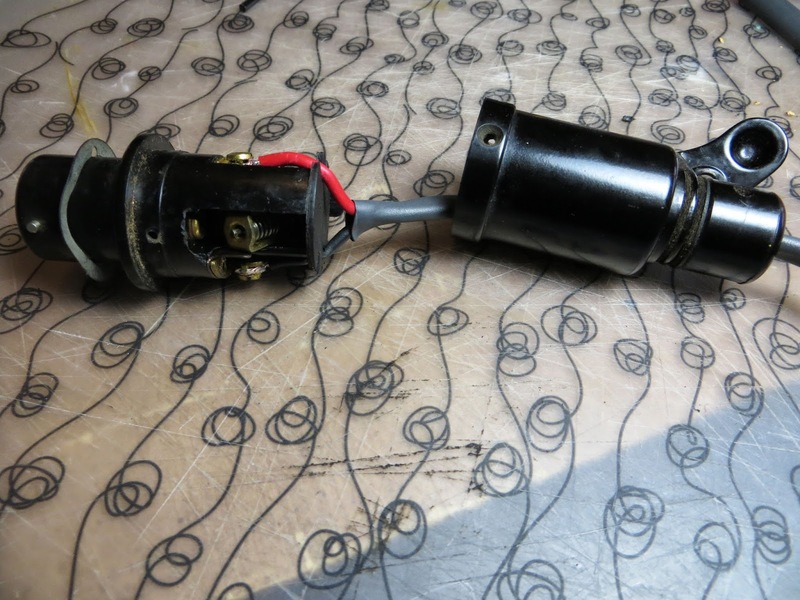 Knot wires together as close to motor as you can. 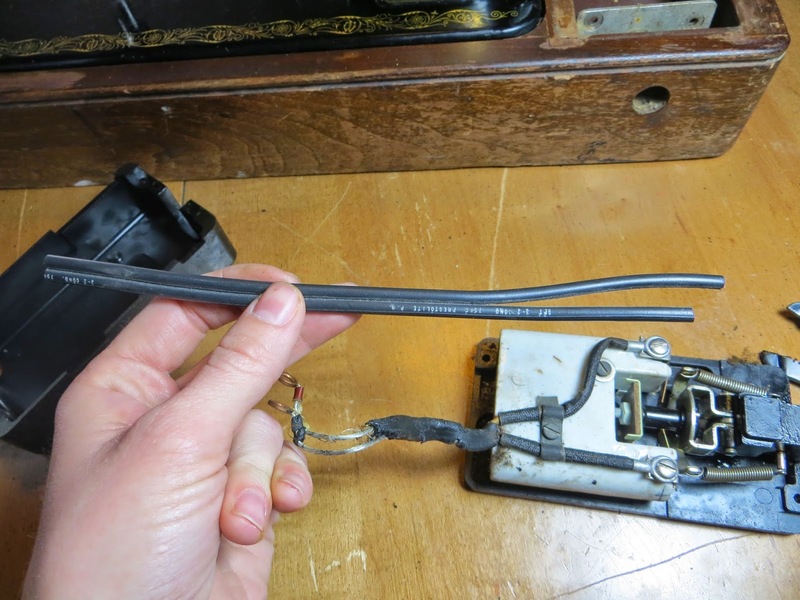 Before putting your motor back together, heat shrink larger tubing over BOTH wires (not pictures here – see below picture). 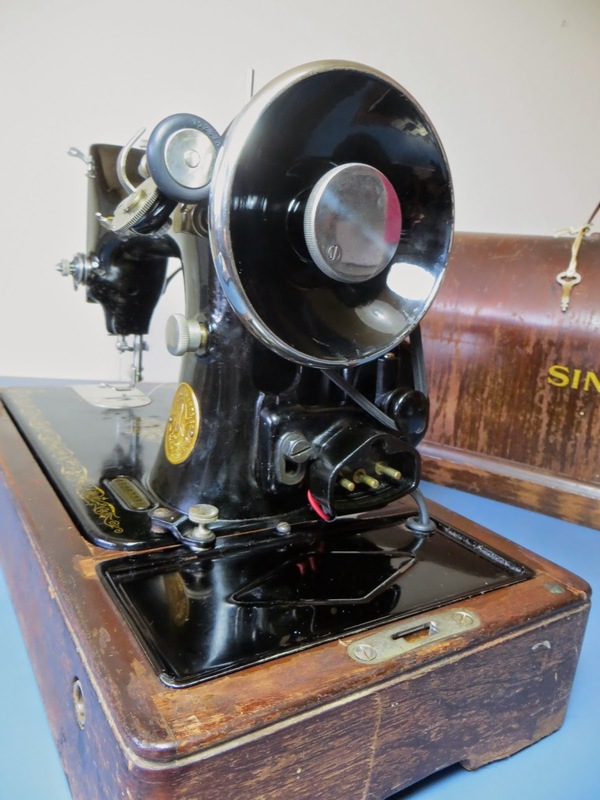 Add metal bracket that attaches to sewing machine. 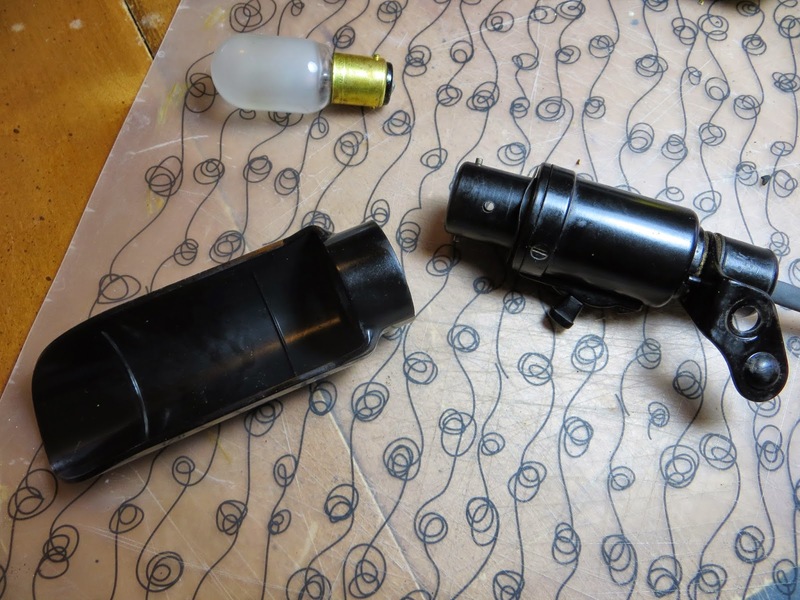 Remove light bulb and bulb shield. 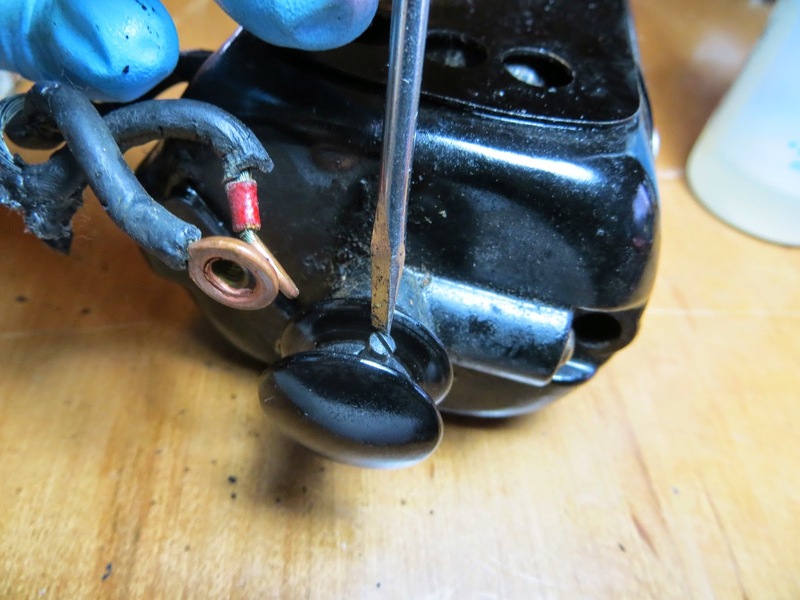 There are 3 screws around the shell that houses the ends of the wires, remove those and housing. 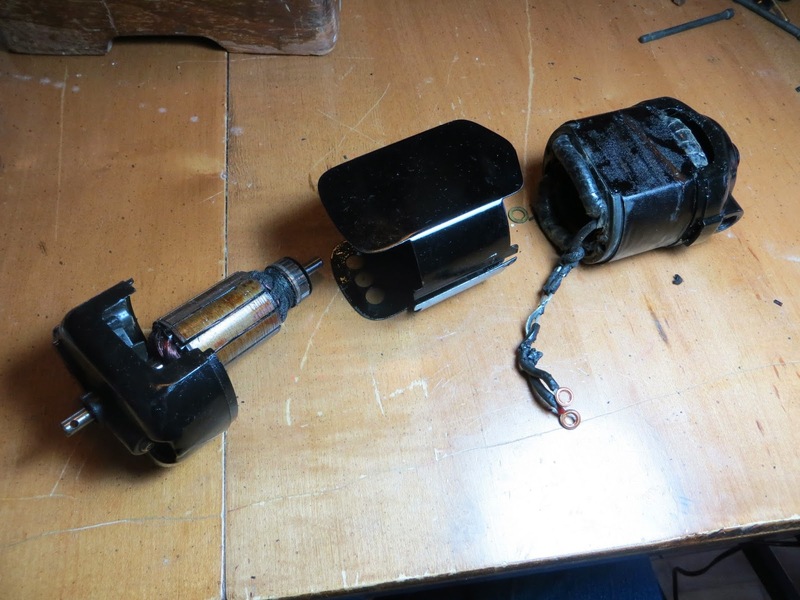 Attach new wires on one at a time to light body. The wires attach on the RED and YELLOW terminal prongs. I could tell which one was the RED so I put my RED wire on that, and the YELLOW I put BLACK. 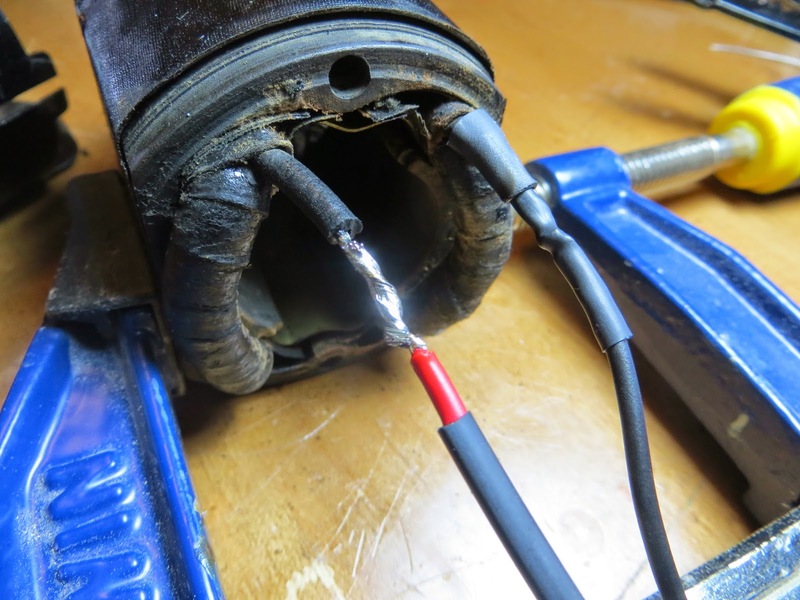 Heat shrink a LONG piece of tubing over both wires and slip housing back on. Screw back together and re-attach lightbulb and shield. …once you can hold them up to the machine where they will attach to the terminal you can trim them down. I still kept mine a little long until I was actually ready to attach them to the terminal. 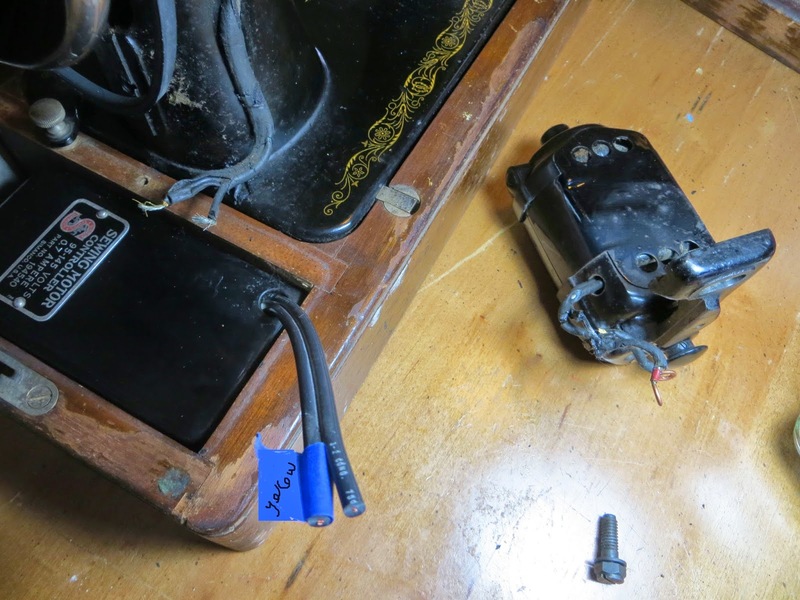 Because there are so many wires attaching to the terminal body I decided to make the terminal connections with the wires just as I did with the light, this time using a bigger allen wrench the size of the prongs on the terminal. 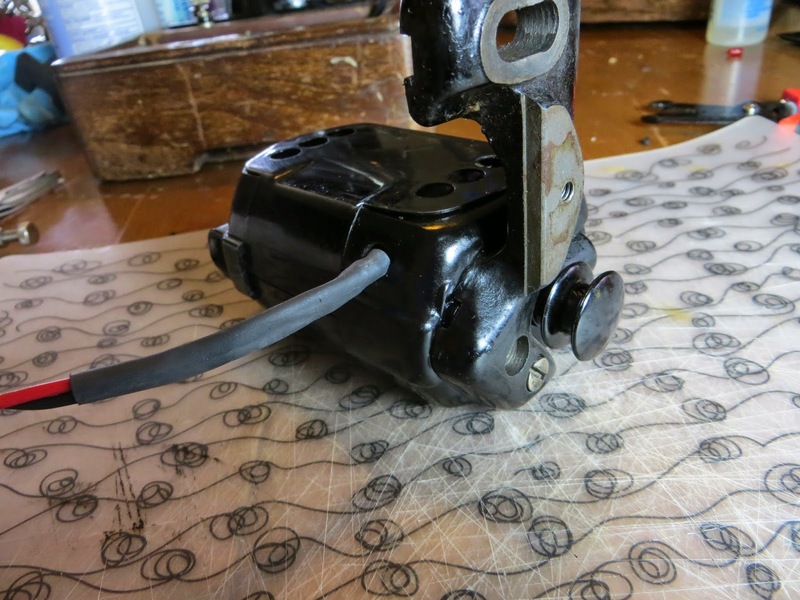 The cover for the pedal had a broken grommet so I used the grommet out of my re-wire kit that would usually go on the motor housing. 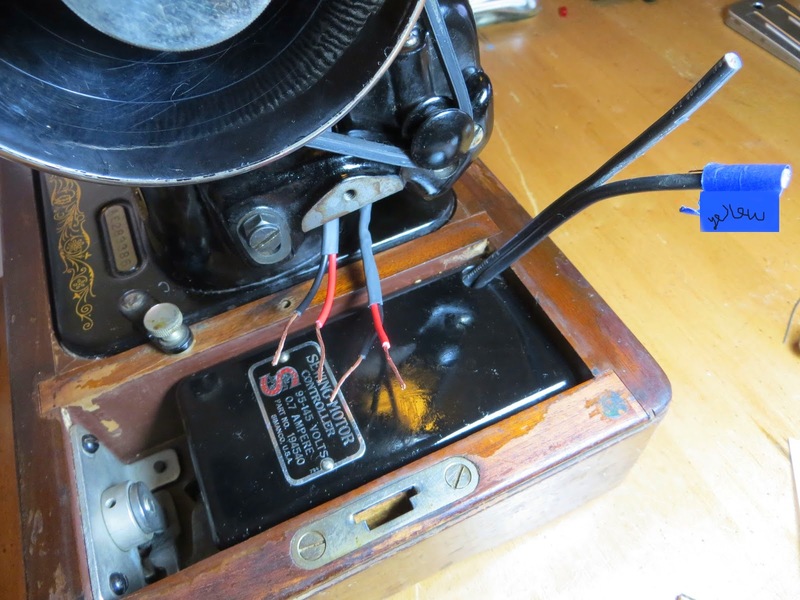 Re-attach pedal cover on machine base, threading wires through grommet. Use this diagram to help you re-attach everything back to the terminal. Almost there! 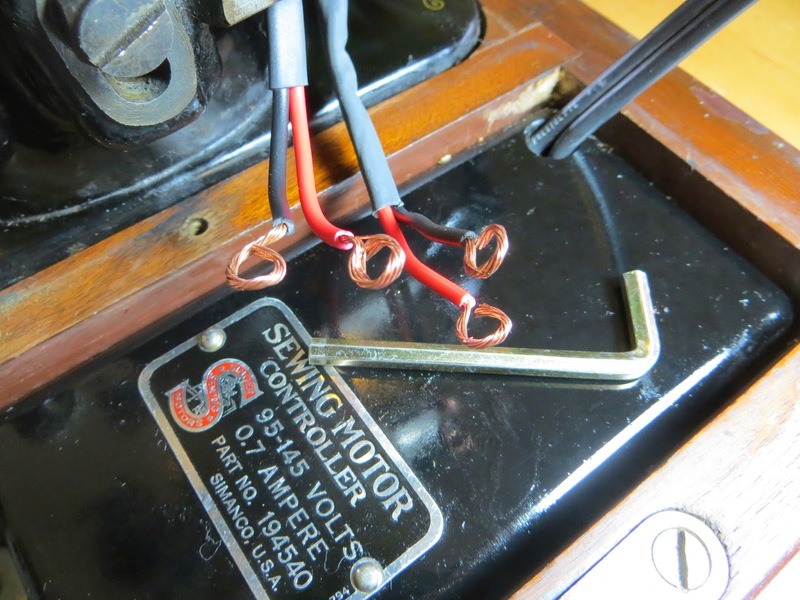 I had to re-cut the “pedal” wires a few times until they were just the right length. 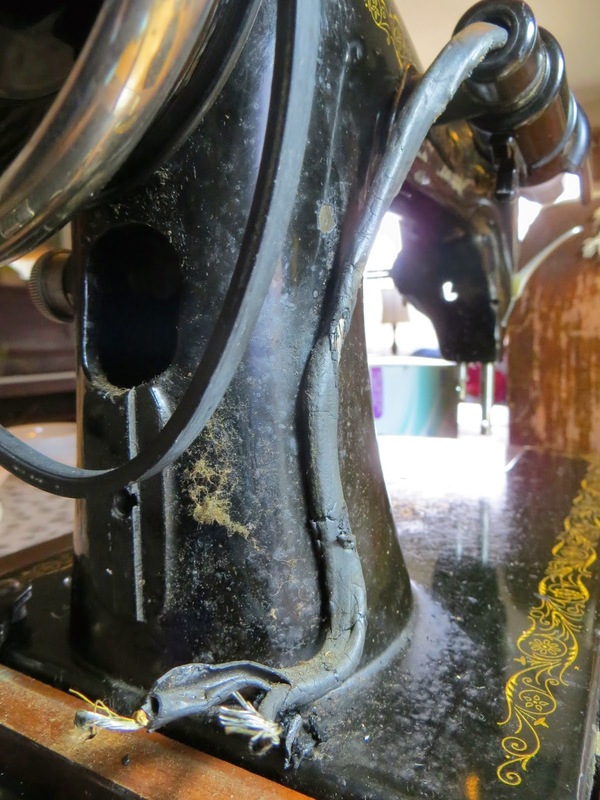 I didn’t want them too long that they were sticking out everywhere, but long enough that I could tilt the machine back for oiling without pulling on them. Awesome, I'm going to rewire my 15-91. 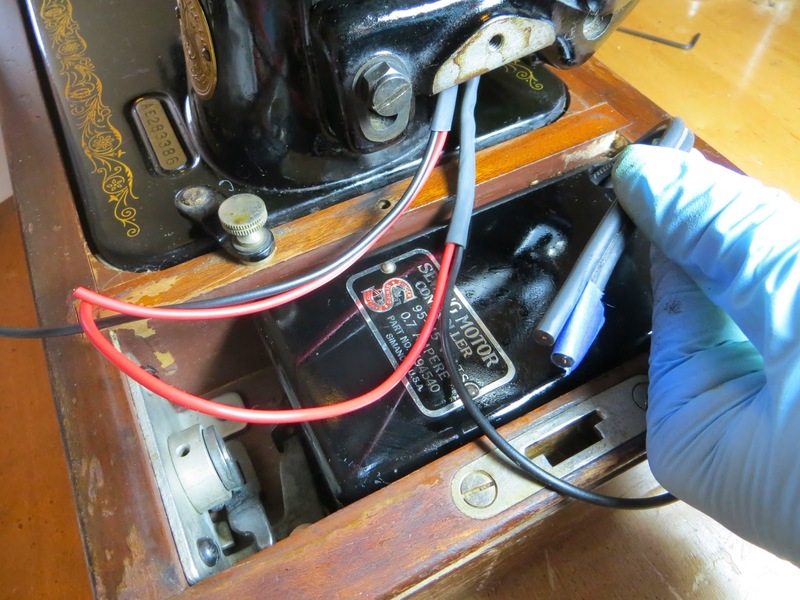 Why do you read latex gloves when working on your machines? That was fantastic! Your directions are crystal clear. 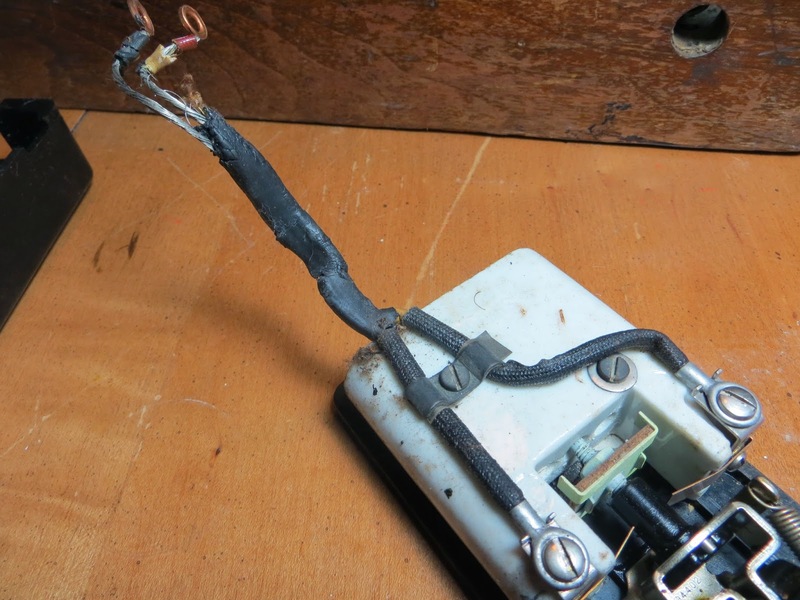 Thanks for taking the time to document your re-wiring job. You're welcome! I'm always happy to hear I've been of some help! No problem! 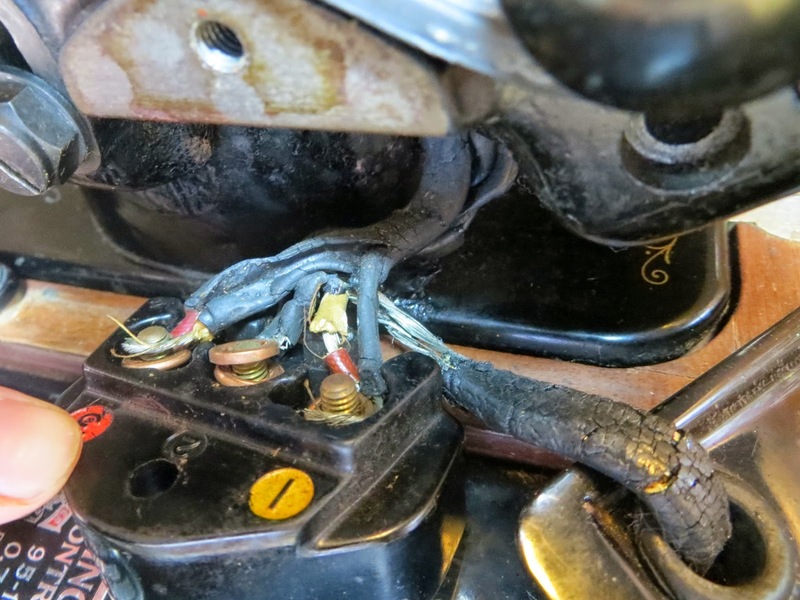 Good luck with your rewire! Wow! Thanks for this- plus good clear photos! This is exactly what I needed. 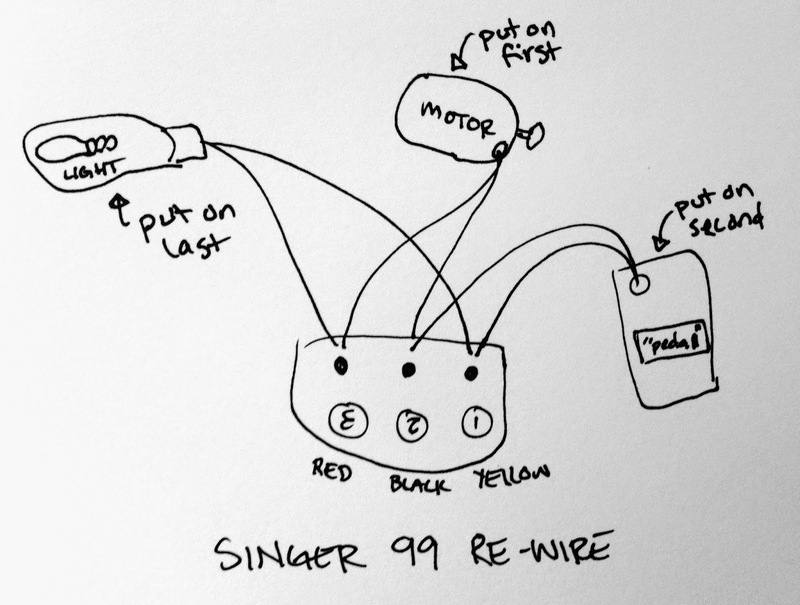 How did the rewire go? Hi Sheila! 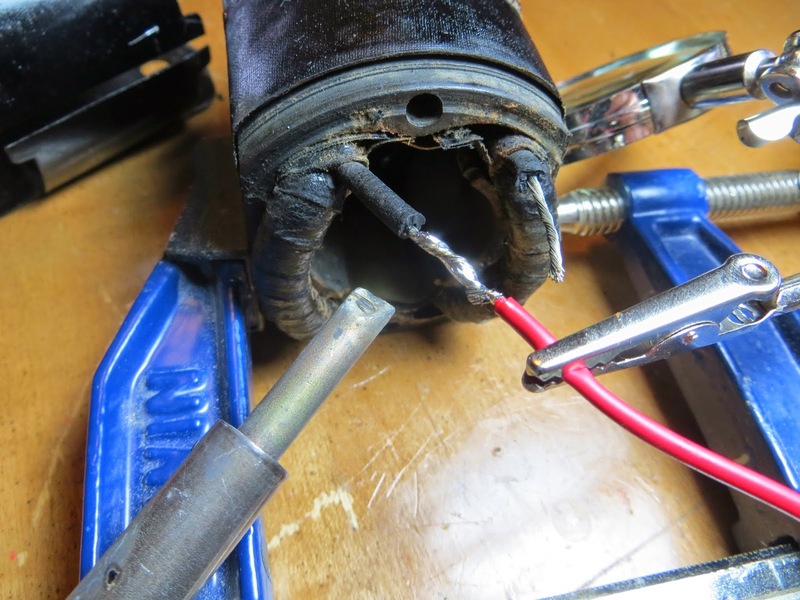 I think when I wrote this post I had bought a spool that was one continuous piece of heat shrink and that’s what I used. It wasn’t my favorite, however. I love Gardner Bender brand because it shrinks easily and is more rubbery than plastic-like when shrunk. 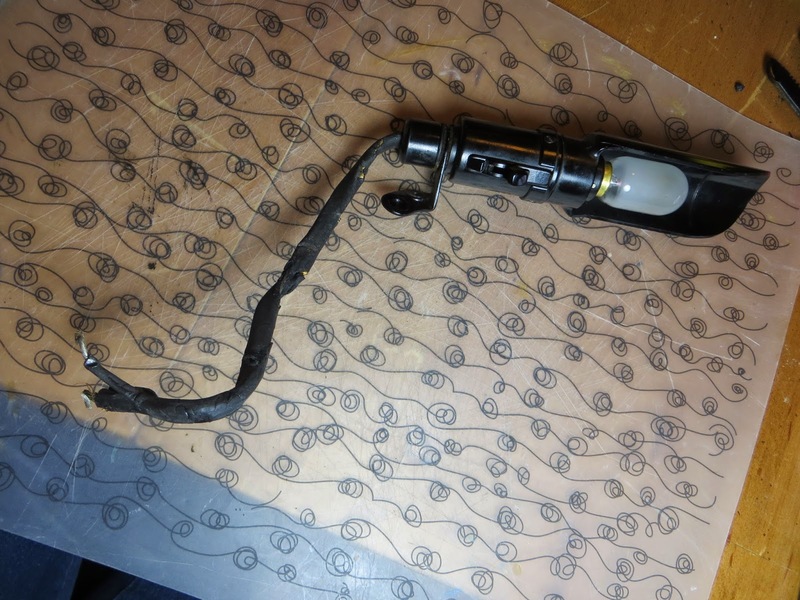 It comes in 4” lengths – shrink one tube on your wires and add another length that overlaps the first slightly and you’ll be good to go! I’ve had good success finding Gardner Bender at my local Town & Country hardware store. Best of luck!